More and more Australians are considering and using off-grid solar systems. But how exactly do they work? 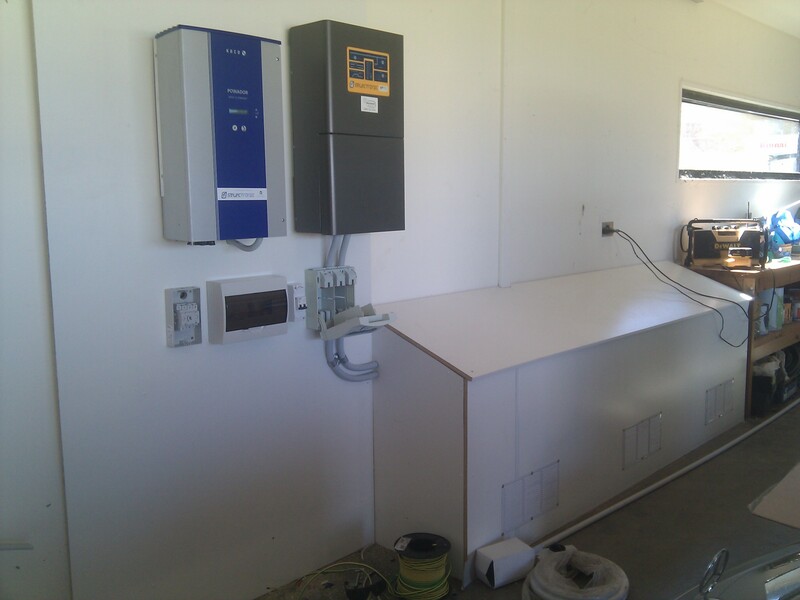 An off-grid solar system is basically the same as a grid-connect one, but with the addition of a battery bank and an inverter/charger. The battery stores the excess solar energy generated during the day so it can be used at night or when the sun isn’t shining. Currently, this technology suits rural properties that would otherwise have had to pay tens of thousands of dollars to connect to the electricity grid. For example, an off-grid solar system that Radiant Energy installed in Little River, near Melbourne, for a 38 square home for four people cost around $52,000, however a connection to the grid would have cost around $45,000 plus 15 years of power bills. (The $45,000 expense was due to the need to install a power pole, dig a 400m trench to the house site, cabling and conduit.) So, it’s easy to see how an off-grid system for a rural property can be cost effective. However, as renewable energy continues to rapidly evolve, grid energy prices increase, battery technology improves and become cheaper, we can expect to see more and more suburban households using a battery bank to store power. Many choose to retain their grid connection for providing high loads or for winter backup. There are numerous applications for off-grid solar systems, and not just for rural residences or small holiday homes. We are happy to answer any questions you might have about going off-grid, so please don’t hesitate to contact John or Phil from Radiant Energy Systems.